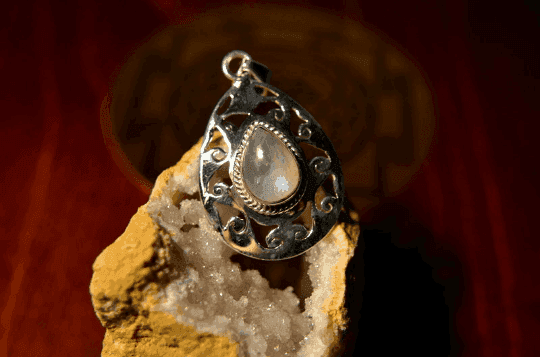 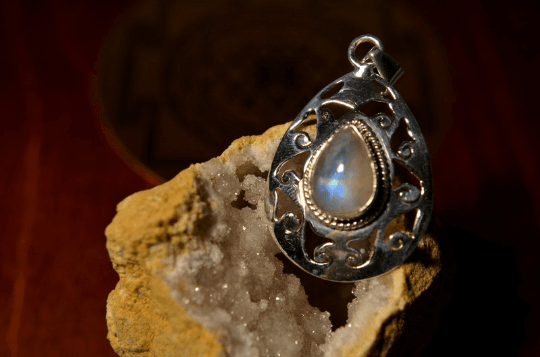 Rainbow Moonstone – 925 Sterling Silver Pendant – 1 3/4″. 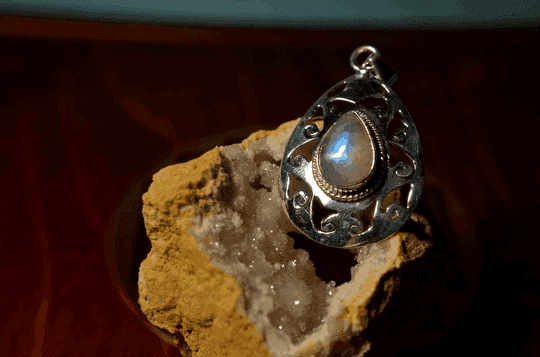 It has been said that if you give your lover a moonstone necklace when the moon is full you will always have passion with each other. 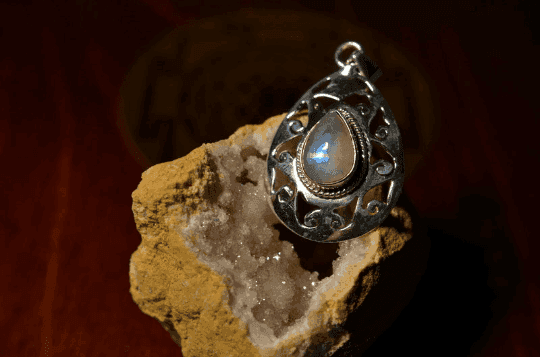 Rainbow Moonstone - 925 Sterling Silver Pendant - 1 3/4"